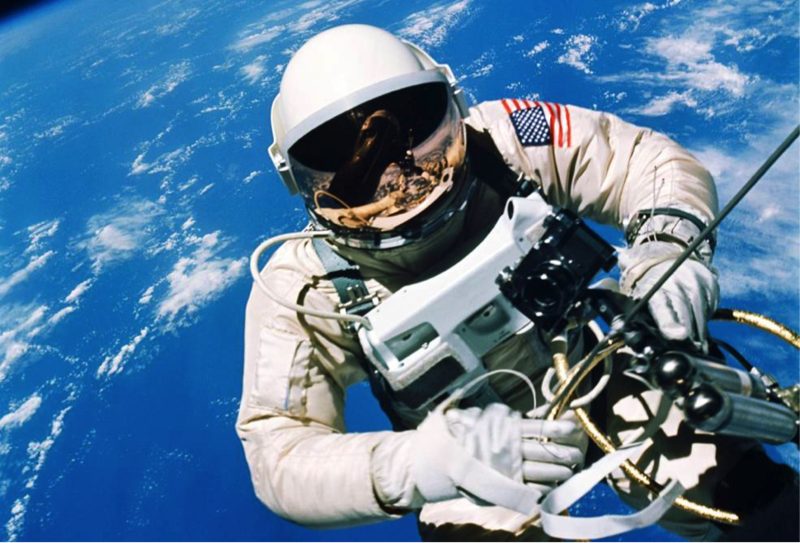 NASA recently celebrated the 50th anniversary of the first American spacewalk on June 3, 1965. On that day, supported by a mission control team in Houston, Ed White (shown above) exited his spacecraft during the Gemini 4 mission and spent more than 20 minutes in the void of space. 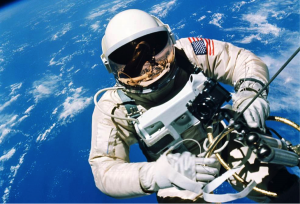 Since this historic first, NASA astronauts have performed spacewalks, or extravehicular activity (EVA) in NASA-speak, on the Gemini, Apollo, Skylab, Space Shuttle and International Space Station programs. Astronauts have explored the lunar surface, completed 82 spacewalks outside of the space shuttle, and 187 spacewalks, to date, outside the International Space Station. A total of 166 hours of spacewalks were carried out to service the Hubble Space Telescope. Today, NASA is developing new advanced spacesuits for use by astronauts as they travel to new deep-space destinations on the journey to Mars. Engineers and technicians at NASA’s Johnson Space Center in Houston continue to test the spacesuit astronauts will wear in the agency’s Orion spacecraft on trips to deep space. The Modified Advanced Crew Escape Suit is a closed-loop version of the launch and entry suits worn by space shuttle astronauts. In addition, a next-generation suit will incorporate a number of technology advances to shorten preparation time, improve safety and boost astronaut capabilities during spacewalks and surface activities. Check out this video on the legacy of 50 years of spacewalk activities that paved the way for future missions.